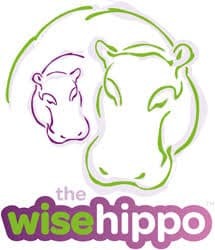 The Wise Hippo Birthing Programme is not only about teaching women how to have a positive birth experience. Its about creating strong, confident mothers who inherently trust themselves, and, by using their natural instincts, make choices that are right for themselves and their families. Hypnobirthing helps you to understand the connection between your mind and body, and how to ensure that they are working together in the best possible way, for both your labour and life in general. Hypnobirthing lets you discover and experience the joy and magic of a positive birth, teaching you how to put yourself in control of your pregnancy and birth. Hypnobirthing empowers pregnant women and their partners to trust themselves and the choices that they make so that they can achieve the best birth possible, knowing that their baby had ‘the right birth on the day’. Hypnobirthing is a complete antenatal programme focussing on a combination of education, self-hypnosis, breathing techniques and deep relaxation to help you achieve a more comfortable birth. What will you LOSE using this recognised and researched programme? The focus is on teaching you and your birth partner some simple but specialised relaxation and breathing techniques and these make the whole experience of birth easier, calmer and more comfortable. This is a comprehensive course which includes a handbook and a range of high quality MP3 downloads for use in your daily practice. This programme is offered over a four week period of sessions 2.5 hours in length. Classes are structured but informal and I teach a maximum of 3 couples in each group or 1:1 sessions in the privacy of your own home. Verina Henchy is a certified Wise Hippo Practitioner in the Peterborough and Stamford area and is a recognised doula and registered homeopath – giving you the complete advantage on your Hypnobirthing training.